Its front fan is 3.35m in diameter, which is a world record. The engine has 3D printed fuel nozzles. 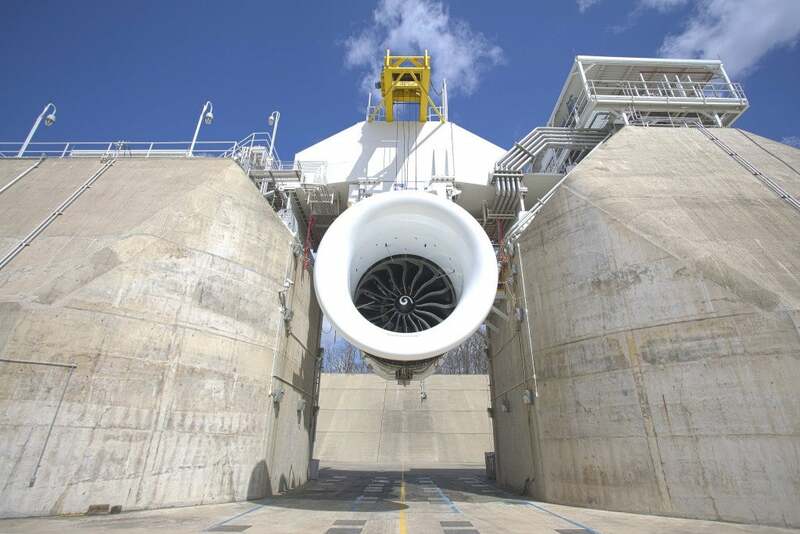 The combustor and the turbine are made of lightweight and ultra heat-resistant materials called ceramic matrix composites (CMCs). CMCs can operate at temperatures of up to 2,400 degrees Fahrenheit. 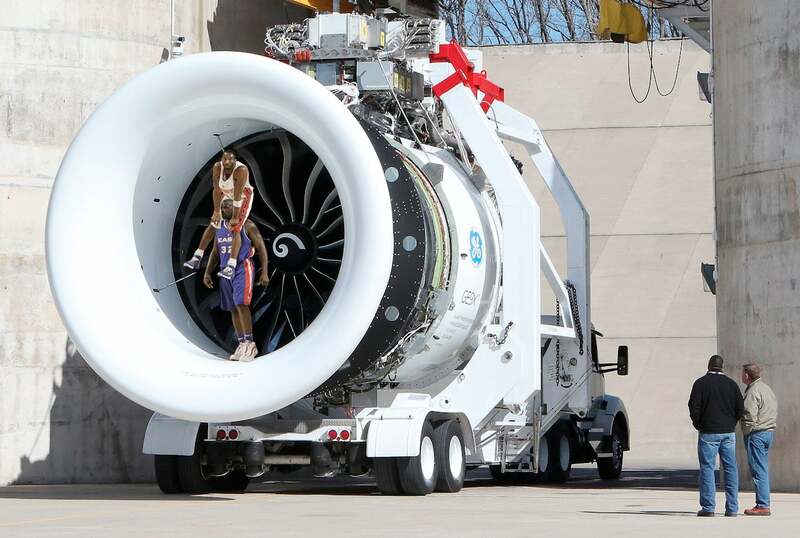 The engine includes 16 fourth-generation carbon-fibre fan blades. 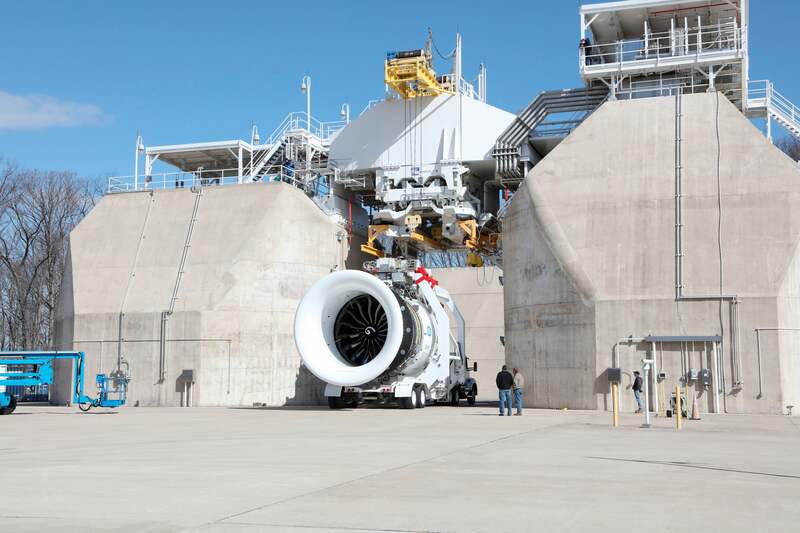 The GE9X can generate 45,359kg of thrust. Shaquille O'Neil would fit inside with Kobe Bryant on his shoulders.